Posted on Sat 15 Oct 2011 at 12:35 AM PST. Filed under General. When I left Greece for UK in late 1996, I got a bit shocked on the kinds of vegetables British were eating. Sure, I could recognize most, but there were some that I couldn’t. Even after reading their names in the super-market labels they didn’t really sound familiar. Parsnip, turnip, rutabaga (sold in abundance in UK) were completely foreign to me. When I married my lovely French husband in 2001 and moved to the US, I learned to eat a few new things (mostly mushrooms), but still not a whole lot. It wasn’t until I started the SCD/Paleo diet recently, that I kept visiting my local Farmer’s Market, and I started experimenting with more kinds of vegetables, in order to enrich my now-reduced diet. So I have started eating quite a few new kinds of vegetables, and I couldn’t be happier. However, while searching for the Greek names of these foods (mostly so I could boast to my mom who eats very limited things), I got literally shocked to see that most of these veggies do grow in Greece, and that ancient Greeks ate them in large quantities! It wasn’t until the Ottoman Empire took over the area and some local foods were simply forgotten, as dishes with different ingredients were promoted as fashionable. The biggest dietary catastrophe though came with the introduction of the potato in the early years of the modern Greek State. Its excessively starchy root was so addictive, that Greeks left behind all the other tubers! Today, foods that were eaten for thousands of years before, not only are not consumed anymore, but Greeks are not even sure what their Greek names are! Some of them use the same name for different species, and some confuse names that belong to different foods! So I decided to put a list here, and I also edited the Greek Wikipedia about it. – Parsnip: Παστινάκι, δαυκί, κοκοσούλες. – Turnip: Ρέβα (some times is wrongly called γογγύλι). – Rutabaga: Γουλί (some times is wrongly called ρέβα or μέγα-γογγύλι). – Cilantro: Κόλιανδρο (Greeks still use the seeds, but not the leaves anymore). – Collard Greens: Κράμβη or λαχανίδες. – Goosefoot or Lamb’s Quarter: Νένες, αγριόβλητο, χηνοπόδιο. – Sea vegetables: είδη φυκιών θαλάσσης. – Tarragon: Δρακοντιά, αψιθιά, αρτεμισία. – Centaurea: Αλιβάρβαρα or γομαράγκαθα. – Purslane: Αντράκλα or γλυστρίδα. – Sorrel: Λάπαθο/λάπατα or ξινήθρα. – Celery root: Σελινόριζα (Greeks only eat the leaves nowdays). – Chicory: Κιχώριο or ραδίκι. – Dandelion: Άγριο ραδίκι, αγριομάρουλο, γαλατσίδα, or πικραλίδα. 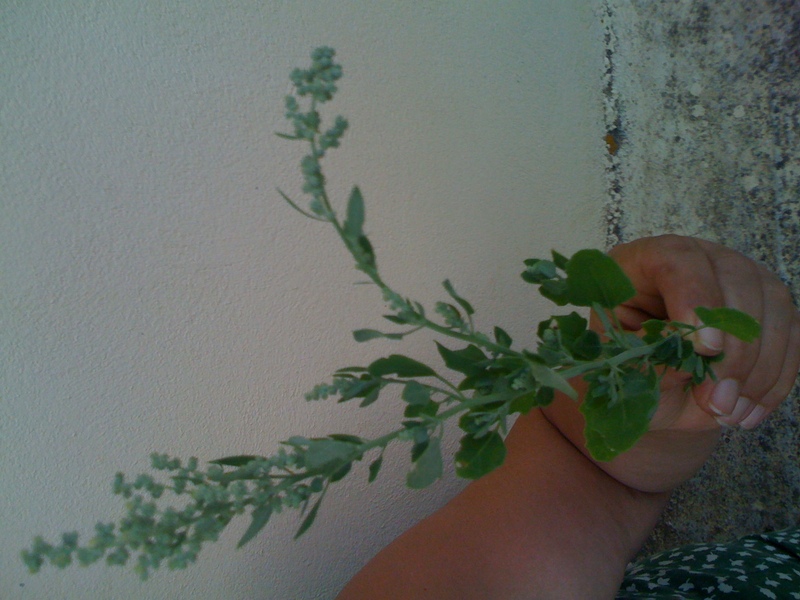 – Marjoram: Ματζουράνα (mostly used only as ornamental plant now). – Squash: Κολοκύθες (different types don’t have different names in common language). – Mâche or corn salad or lamb’s lettuce: Βαλεριανέλλα (Valeriana crinii or valeriana olenea). Apparently it grows in the mountains of my home Epirus, and yet no one eats it or knows about it there? – Many other kinds of berries are also not eaten anymore, while a number of wild greens that villagers would gather for “spinach pie” are close to getting forgotten since the knowledge is not passed down anymore to the younger generation. I don’t think most women younger than 50 years old anymore know what safe wild greens to gather anymore in my village. And we’re talking for at least another 10-15 edible wild species in my village’s area alone! And of course, mushrooms (μανιτάρια). I really don’t know why, but most Greeks are avoiding mushrooms like the plague. Every time I visit Epirus there’s this collective FEAR of mushrooms. They wouldn’t buy them to cook with them, and most of them would remove on the side any mushrooms that might happen to be on their ready-made pizza. Other vegetables, like dill (άνηθος), fennel root (μάραθος, φινόκιο), fresh peas (μπιζέλι), endive (αντίδια), asparagus (σπαράγγια), swiss chard (σέσκουλα), radish (Ραπανάκι), and amaranth leaves (βλήτα) are eaten less and less too! This is so disheartening! – Yam: Διοσκορέα or Γιαμ. – Japanese Radish or Daikon: Ρεπάνι. – Hearts of palm: Φοινικόκαρδο. – Jerusalem Artichoke/Sunchoke: Κονδυλώδης Ηλίανθος or Αγγινάρα της Ιερουσαλήμ. And at least another 50 more kinds of fruits and veggies from around the world! But before Greeks move to new foods, I wish they RE-learn to eat their ancient foods that they have forsaken for rice, potatoes, and pasta! Mom, I’m looking at you.